Peripherals at the ready, people! In its Nintendo Direct presentation earlier today, Nintendo unveiled new details about its upcoming mini-game bonanza, Wii Party U. 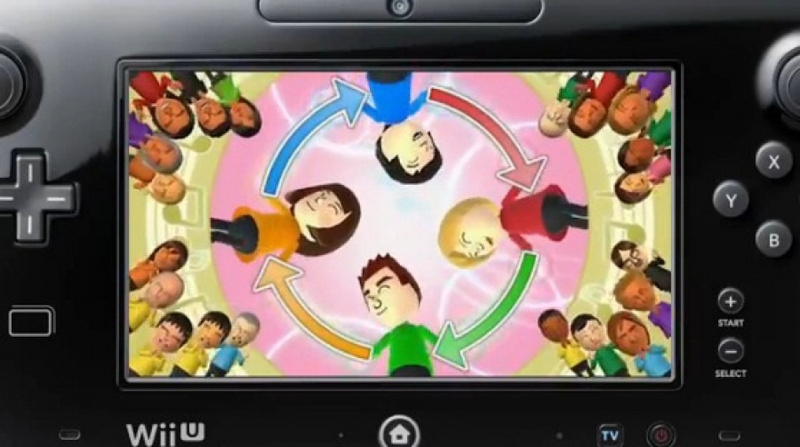 In the game's House Party mode, players will be able to experience a number of new mini-games that make simultaneous use of the Wii Remote and Wii U GamePad in a rather unique and interesting way. For example, the mini-game Water Runners — used as an example in the presentation — tasks players with using their Wii Remote to scoop virtual water from a stream displayed on the GamePad screen and carefully carry it back to a pitcher displayed on the TV. Another mini-game involves players dancing in a circle around the GamePad while holding Wii Remotes; it's one of the most novel, yet bizarre ideas we've seen on the Wii U so far, and it certainly beats dancing around your handbag in some run-down club. 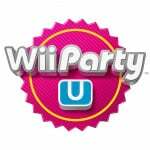 Wii Party U is due to release in both the UK and US on 25th October, and the physical edition will come with a Wii Remote Plus controller and the new Horizontal Stand for the Wii U GamePad. The stand elevates and levels the controller, making it more comfortable when used with Wii Party U's Tabletop games. Will you be picking it up? Let us know in the comments section below. Sounds like a good way to replace our last non-motion plus remote. Of course, seems like many games are coming with a Wii Remote pack-in by the end of the year. Remember at E3 2012 when Nintendo stated they wanted to bring back the core gamers ...... shovelware like this won't help. Mario & Sonic at the Sochi 2014 Winter Olympic Games comes with a Wii Remote as well. Also I can't find them Mario & Luigi Remotes anywhere to pre-order. @Dambuster If you think this is shovelware, then you are wrong, and possibly have no friends that have fun at these little mini games. Last week i brought my friends over, played some good old wii party and we had lots of fun, and i bet this version will be better! The water scoop game may make us buy this game. But I HATE board games. Anybody know if you can just pick a number of games to play and play them. The World map in the last Party game was ok, but I'ld really rather not. And Wii Party U does not roll off my tongue, Wii U Party just sounds better. Say them to yourself or out loud, Wii U Party sounds better. The house party mode reminds me of what I've seen of Spin the Bottle: Bumpy's Party. It looks to really utilize the GamePad in unique ways. @rjejr idk it still sounds weird, what about U Party Wii'th Us? Hmm... At first I was a bit disappointed at the ND, but I'm getting more and more info, and I'm now a bit cheered up, after a-bit-less-than-normal day. DKTF may have to wait. On topic, I think I need this game! Pretty sad Direct when this was the most interesting thing. To buy or not to buy. This looks fun. This apparently has 80+ games, i'd like abit more info on them as we have seen maybe 15 so far and only for a short amount of time. The price point is excellent and the games look interesting but we need a more in depth preview before release. Already got my copy pre-ordered. @ScorpionMG @thesilverbrick Give an extra Wiimote as a gift to somebody or replace a worn out Wiimote? @jayclayx Are you interested in other retail games like Just Dance 2014 and Wii Fit U, or eShop games like Wii Sports Club and Mighty Switch Force 2? Looks interesting but I have to get a Wii U first. Hoping to get one for Christmas from my dad. Not sure I like the idea of having my Gamepad on the floor with 'merry' mates dancing around it. Loved Wii Party, so looking forward to this. I wanted this specifically for the free controller, so I am not sure I will get it after they announced the M&L wiimotes. Still some of those games look interesting in how they combine controllers. Gamestop has them. I'm waiting for Amazon though. I don't like paying taxes. lol I hope you're joking. Nintendo's doing so great with the Wii U it's blowing the socks right off my feet! NSMBU was great, but Pikmin 3 and Wonderful 101 were two of the best games I've played in years, no joke. Rayman Legends and Splinter Cell Blacklist- even more amazing goodies thrown in the mix. The there's Zelda Windwaker, which is just epic. And Sonic Lost World, my goodness, it looks like the best Sonic game since the 16-bit era! That Super Mario 3D World trailer shown today... a tear of joy rolled down my cheek as I watched it. Best Mario EVER. DKC Tropical Freeze also. Best Donkey Kong EVER. Wii Sports Club, Wii Fit U, Wii Party U, Mario & Sonic at Winter Olympics 2014... it's too much awesome at once! That's not even counting games like Batman Arkham Origins, Assassin's Creed 4, Call of Duty Ghosts, Watch Dogs and Deus Ex Human Revolution... Wii U is the best console ever made! @ScorpionMG If they are in good condition then sell one... I'm sure a lot of people would love to have these new Wiimotes. Glad to see I'm not the only one exciting about this one. Only ever played Wii Party at a buddy's house, but we had a good time. And this looks much more inclusive for non-gamers than NintendoLand, which was amazing but pretty mechanics-heavy for people who never play games. Yeah, that's why I don't like the sound of it, sounds like a running gag on /. In Russia, we party you. And I like yours, U Party Wii'th US b/c it doesn't even start w/ Wii at all. How many Xbox360 games start w/ Xbox360 in the name? Or PS3 games? Why does everything have to be called Wii when the system isn't even called Wii, it's a Wii U! Sorry for the rant, I'm done now.